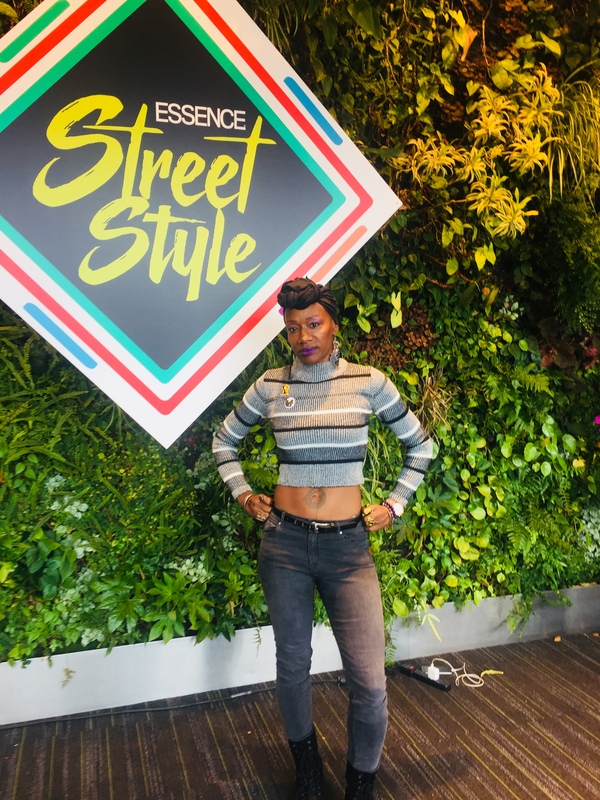 During this years NYFW (September 2018), I was able to get out and hit some amazing Fashion events. 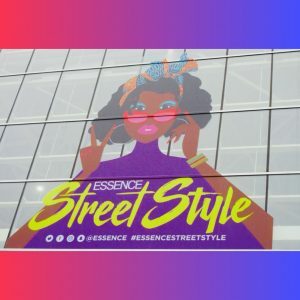 Sunday, September, 9th 2018 turned out to be a rainy day but that didn’t stop us from having a good time at this years, ESSENCE STREET STYLE! 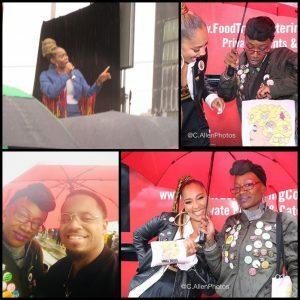 It was hosted by one of my favorite Cancerians, Amanda Seales. She’s a Friend in my Head. I conveniently took the ‘A’ train from Lefferts Blvd, (Queens, NY) to Jay St, (Brooklyn, NY) then walked the rest of the way to the Venue (Duggal GreenHouse, 63 Flushing Ave, Bklyn, NY). 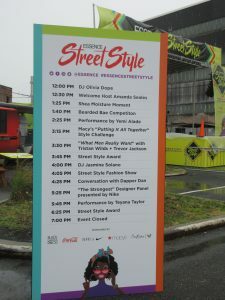 When I arrived, the outside stage had DJ Olivia Dope, rocking the 1’s & 2’s and I noticed a chart which displayed the line-up for the next few hours. What’s an event without a Raffle contest? It was an easy ‘Sign-Up’. Many of us entered but there would only be 6 winners. This ‘Giveaway’ was Amazing Too! 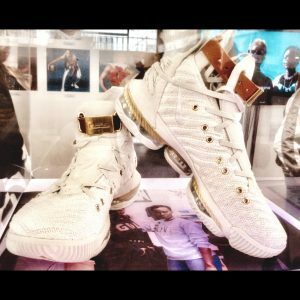 Each winner would get a pair of Lebron James’ latest Kicks designed by 3 Black Women. 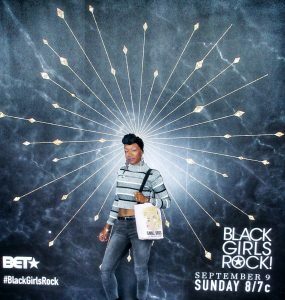 (Kimberly Goldson, Felisha Noel and Undra Celeste Duncan) Now How DOPE is That! I wasn’t a Lucky winner and I’m cool with that. Finally the moment I personally was waiting for; not only seeing the Legendary Dapper Dan but hearing his story straight from him. In his own words. Live and in person. It was an amazing experience for me. Dapper Dan is someone who most of the Hip Hop Legends from back in (my) days, would Rock. And those of you who have read some of my previous blogs know that I am a Huge Hip Hop Junkie. To me, besides him being a Harlem born Representer and Fashion Icon, He is Also HIP HOP! He has been mentioned by Hip Hop Legends like Jay-Z and his fashionable clothing has been rocked by some of my favorites like Big Daddy Kane, Rakim, Bobby Brown, The Fat Boys and LL Cool J. I wasn’t sure what happened. Over the years I’ve heard rumors of why he wasn’t around anymore but AtLast, I would get the full story from him. 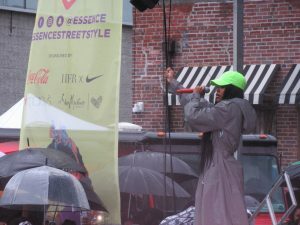 SPREAD LOVE, ITS THE BKLYN TYE WAY! This entry was posted in WHAT'S THE WORD. Bookmark the permalink.